Second Chances Girl - a Miami family and lifestyle blog! : Work Smarter, Not Harder With A New Tablet & T-Mobile Free Data!! Work Smarter, Not Harder With A New Tablet & T-Mobile Free Data!! As a full-time working mom with three kids, I don't always have time to sit for an hour in front of my computer and create a post or scroll Pinterest. When I get out of work, I have to rush and do after-care pick ups and then extracurriculars on top of making dinner and bedtime. I'm exhausted at the end of the day and the last thing I want to do is sit at the computer. I want to go to bed!! I tried to blog on my phone but would either run out of battery or run up my data plan. I also tried to use my kids tablets but you try to pry a tablet out of the hand of a child! Almost impossible. I needed my own tablet! After some research, I found the Trio AXS with T-Mobile Free Data. Yup, you read that correctly: FREE DATA!! I wanted my tablet right away! I didn't want to wait any longer. 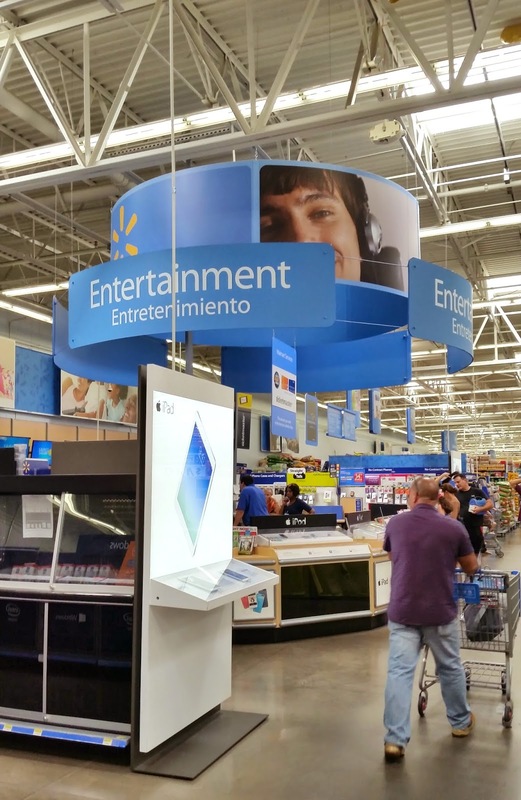 I headed to Walmart, walked all the way to the back where the Entertainment section is and found the T-Mobile Trio AXS 4G tablet. Best part? It was only $179!!! Under $200 and free data? Sold! Did I mention that this tablet comes with free data for life? 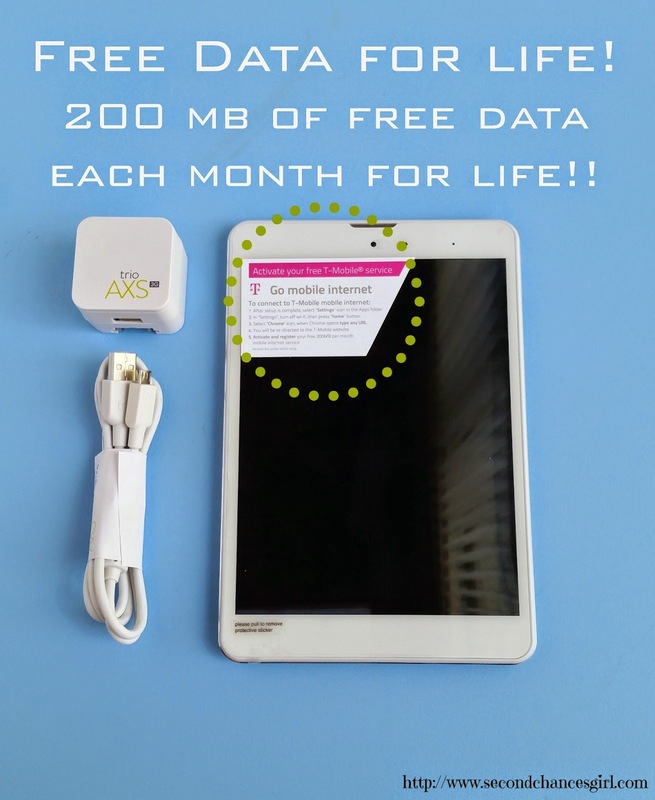 The tablet includes the Free Data for Life Plan- 200mb of free data each month for the life of the tablet on T-Mobile's advanced nationwide 4G network! Need more data? No problem! T-Mobile and Walmart offer affordable, flexible and coverage free tablet data plans for every type of user. I unboxed my tablet as soon as I got home. It was fully charged so all I had to do was turn it on, sync it to my gmail and started browsing. It was so lightweight and easy to navigate. If you can navigate a smartphone, you can navigate this tablet. I used it all weekend. 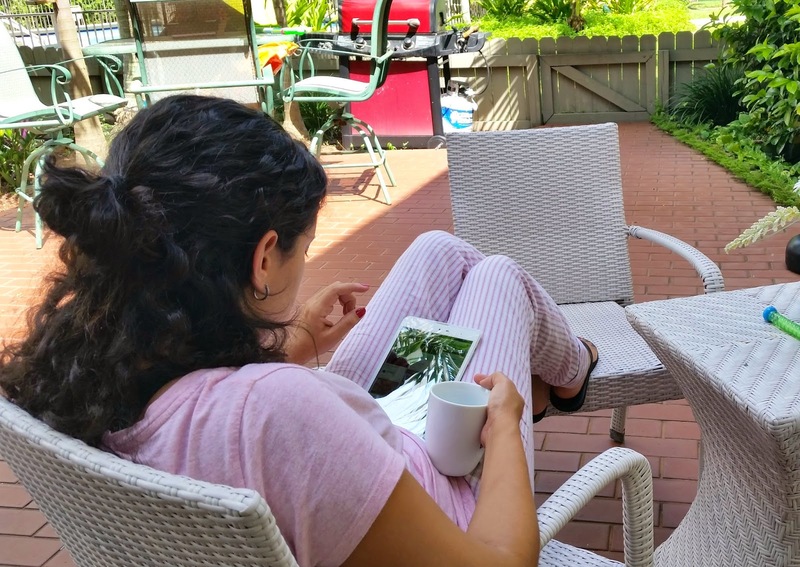 I would sneak out in the morning to my patio with a cup of coffee and scroll Pinterest for recipe ideas. 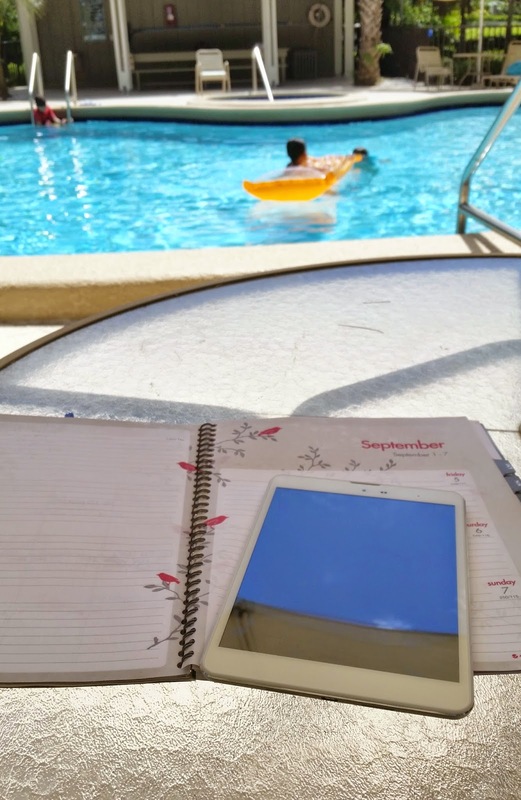 I also worked on some blog posts out by the pool while the kids were swimming. I was able to work and keep an eye on them. Oh and for the first time ever, I am actually excited for the work week. I'm just going to slip the tablet in my purse and pull it out while at Adrian's Tae Kwon Do class, basketball practice or Amberly's art class. This is going to revolutionize my blogging! 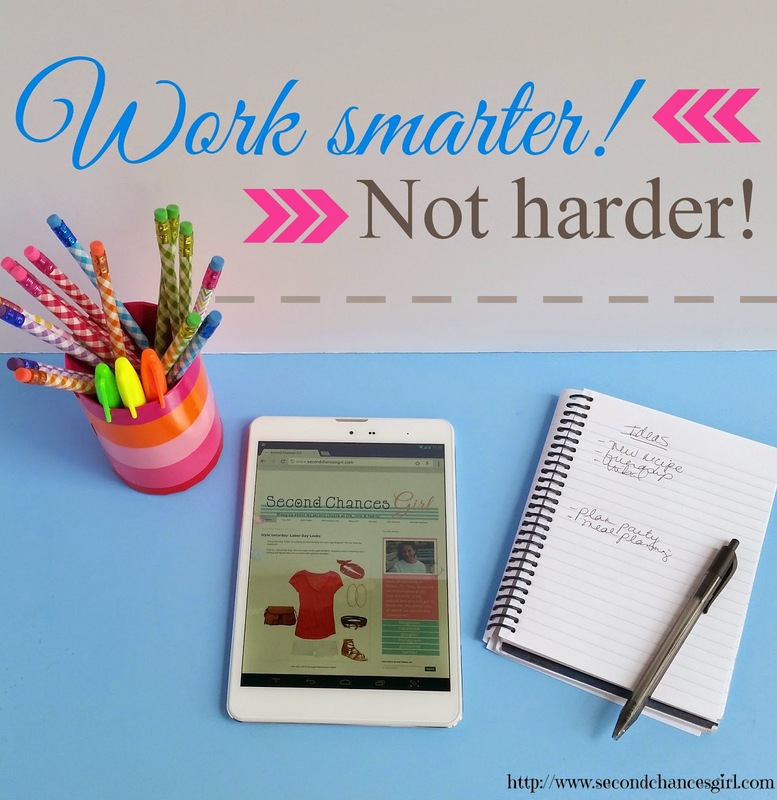 I'm definitely going to work smarter, not harder now! Oh and kids, this is mama's tablet! Just try prying this from my hands!! Do you own a tablet? Has it made blogging easier? Free data for life is awesome! Thanks for sharing. No, I haven't won a tablet but I keep trying by faithfully entering when I find one offered! That looks like a great tablet and love the idea of free data for life. Will have to check that out. It looks like an amazing tablet! !